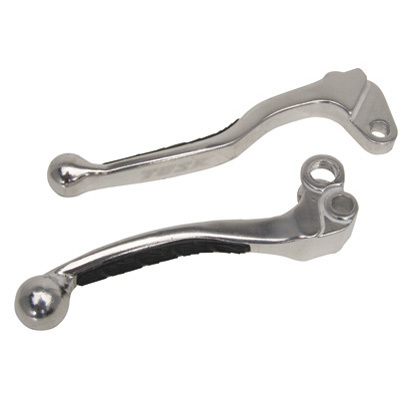 Levers are made of strong and durable forged aluminum. Black rubber grip pads for your fingers increase control in all weather. Most levers have brass bushings for smooth operation. Clean looking polished finish with a laser etched logo. Set includes front brake and clutch levers. Q: Will these levers fit the OEM perches?